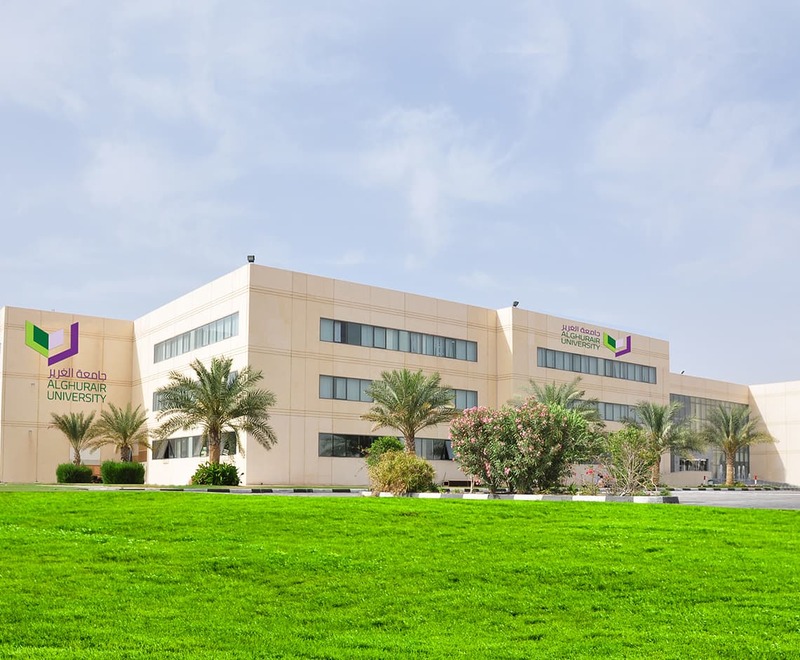 The state-of-the-art campus of Al Ghurair University occupies 129,100 square meters and is conveniently located in Academic City, a part of the ever growing and diverse academic community in Dubai. It fosters Al Ghurair University student experience to its full potential with its optimized services and facilities, with over 26 classroom for undergraduate and postgraduate programs and – departments. Here, students have access to hands-on learning with the provision of informative resources through the AGU Library and through our 22 modern laboratories & workshops and 7 design studios. Well-being of students are catered by facilities such as a healthy and well-rounded menu served at the cafeteria, an equipped gym for fitness and training, a designated parking areas, a multipurpose auditorium, and a free high-speed Wi-Fi access throughout the campus. Visitors are always welcome on campus, and we invite you to witness the student experience that’s waiting for you.